We are an interdisciplinary research group, consisting of clinical psychologists, psychiatrists, nurses, applied linguists, statisticians and computer engineers. We are all interested in studying the effects of quality psychosocial treatment on cancer, and the ways to facilitate its access using the new technologies of information. The group is led by Dr. Cristian Ochoa Arnedo (Main Researcher – MR). This team is a part of a larger group known as Research in Health Services in Cancer. It is a consolidated research group recognized by the Generalitat de Catalunya (reference number 2014 SGR 00635), lead by Dr. Josep Maria Borràs. At the care level, our group is integrated within the Unit of Psycho-Oncology from ICO-Duran i Reynals, which was recognized as an example of State Good Practices in our field, by The National Cancer Plan, for its capability of assistance, teaching, research and clinical management. The coordinator of the Psycho-Oncology Unit is Dr. Francisco Gil Moncayo, a pioneer and national referent of this discipline. Our Unit participates in doctoral programs from four universities in Barcelona and has the support from the Generalitat de Catalunya Health Department, for the creation of the first Virtual Community for patients and health professionals in this country. Clinical Psychologist. Main researcher of the Online Psycho-oncology Project. Coordinator of the Psychosocial Comitee from the Catalan Institute of Oncology in the Duran i Reynals Hospital. Professor in the University of Barcelona. Clinical Psychologist. Manager of the online psychological treatment groups. PhD student in the University of Barcelona. Researcher in the Psycho-oncology online project. Associated to the Catalan Institute of Oncology. Clinical oncology nurse. Breast Functional Unity. Catalan Institute of Oncology. Researcher of the Online Psycho-oncology project. Doctor in Psychology by the Autonomous University of Barcelona. Researcher in the Catalan Institute of Oncology and in the Online Psycho-oncology project. Psychiatrist. Doctor in Medicine by the University of Barcelona. Assistant to the Psychiatry Service at the University Hosptial of Bellvitge, and to the Catalan Institute of Oncology. Researcher in the Online Psycho-oncology project and in the Catalan Institute of Oncology. 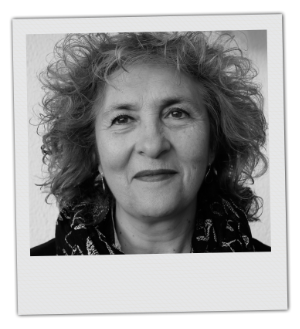 Clinical psychologist, nurse, historian and expert in health antropology. Researcher in the Onlin Psycho-oncology project and in the Catalan Institute of Oncology. Graduated in Translation and Interpretation. Masters in Theoretical and Applied Linguistics. PhD student in the Pompeu Fabra University. Researcher in IULATERM group and in Online Psycho-oncology project. Doctora en Psicología. Clinical Psychology. Coordinator of the Psycho-oncology Unit. Sant Joan de Reus Hospital. Researcher in the Online Psycho-oncology project. Doctor in Psychology. Clinical Psychologist. Coordinator of the Psycho-oncology Unit ath the Duran i Reynals Hospital, Catalan Institute of Oncology. Resarcher in the Online Psycho-oncology project. Psychologist and coach. Coordinator of the Psycho-oncology servie at the Consorci Sanitari de Terrassa and Corporació Sanitaria del Hospital Parc Taulí de Sabadell. Resarcher in the Online Psycho-oncology project. Our research activity for the last years has been focused on the study of cancer as an extreme experience and its impact. This experience paradoxically may generate two simultaneous reactions: chaos, pain and suffering on the one hand, and growth, resistance and positive vital changes on the other. We have developed positive psychology-based psychotherapeutic treatments, which are aimed at reducing emotional distress by facilitating personal growth from the disease. We are currently conducting our research activity towards the study of the impact that the use of the Internet and the ICT (Information and Communication Technologies) have on patients with cancer. Specifically, we study the application of these tools in psychological treatments in people who have experienced an oncological disease. We are conducting the first clinical trial, at both state and international levels, of online group-based psychological treatments in cancer. We perform them using multi-videoconference. In addition, we are also conducting the first pilot study of Virtual Communities of patients from the Department of Health of the Generalitat de Catalunya, the Online Psychosocial Support Community. Health: Catalan Institute of Oncology + Health Department + Director Plan of Oncology. Technology: Hewlett Packard (Online Psychosocial Support Community) and the Unviersity of Girona (Multivideoconference program VITAM – Institue of Informatics and Software Applications). Research: University of Barcelona, Autonomous University of Barcelona, Pompeu Fabra University. Where is the project framed? The Catalan Institute of Oncology (ICO) is a public and cancer-monographic center. It deals with the disease in a comprehensive way since it includes, within the same organization, the cancer prevention, assistance, training, and research. Currently, ICO is the cancer reference center for more than 40% of the adult population in Catalonia. 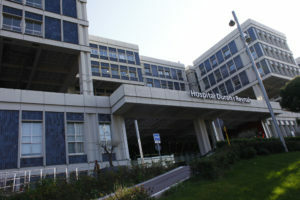 This institution is a public company created in 1995 by the Health Department of the Generalitat de Catalunya, which starts operating, a year later, at the Duran i Reynals Hospital, in l’’Hospitalet de Llobregat. In subsequent years, the ICO expanded its care area creating: ICO Girona, at the Doctor Josep Trueta Hospital; ICO Badalona, at the Germans Trias i Pujol University Hospital; ICO Camp of Tarragona and Terres de l’Ebre at the Joan XXIII Hospital in Tarragona and at Verge de la Cinta Hospital in Tortosa.